The scorching heat of summer comes along with various health problems thanks to dehydration. In the summer months of March, April and May, we tend to lose excessive fluids from our body in the form of sweat. If you don't hydrate yourself, you could suffer from heat injury, seizures and even kidney problems. So this season let's vow that we drink enough water to keep ourselves hydrated. Drinking ample amount of liquid in a day can have various health benefits. White Rice for Weight Loss? How to Eat Your Favourite Cereal and Still Not Gain Weight. Water carries nutrients to your cells, maintains your body temperature and regulates the functions of organs like heart, brain and muscles. Since you lose a lot of water every day through sweating, breathing and digestion, it's important to replenish water in your body. Dr Julian Seifter, a kidney specialist and associate professor of medicine at Harvard Medical School, quoted in Harvard Health Publishing: "Older people don't sense thirst as much as they did when they were younger. And that could be a problem if they're on a medication that may cause fluid loss, such as a diuretic”. He further stated that adults should drink 30 to 50 ounces of water in a day, but not all at once. This is because, the kidney loses the ability to eliminate water as we age. Dr Seifter recommends eating water-rich foods like salads and fruits. 1. When you lose water from your body through sweat, you should include foods with high water content. Have fruits and vegetables like watermelon and cucumber. Even foods like chicken breast contain a high amount of water. 2. Always carry a bottle of water with you wherever you go. If you don't like plain water, then you can add a slice of lime or a few sprigs of mint in it. 3. Drink water before and after a workout session. Also, remember to take a small sip of water in your workout. 4. If you forget to drink water, set a reminder for it. Drink a glass of water when you wake up, have it before lunch or dinner or any meal. 5. Whenever you feel hungry, drink water because thirst is often confused with hunger. Drinking glasses of water can keep you full and reduce your craving, which also aids in weight loss. Staying hydrated is not only necessary for athletes or people who exercise. Your body needs fluid even when you sit or stand in the sun on a hot or humid day. 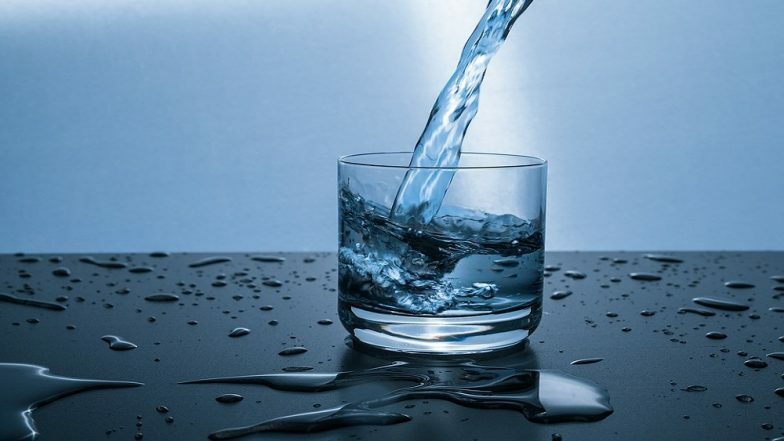 People with heart problems or those who are above 50 years of age should take extra precautions with their water intake. It is ideal to set a reminder in your cellphone to drink a glass of water after every one hour during day time.